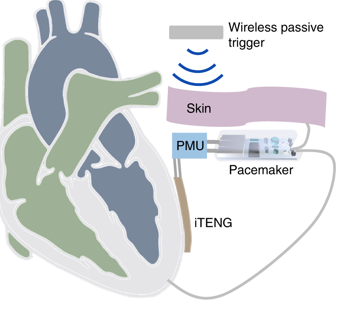 Engineers are developing technology that may enable physicians to use high frequency ultrasound waves to visualise the heart’s interior and destroy heart tissue with heat to correct arrhythmias. “No one else has developed a way for ultrasound to combine therapy and imaging in a catheter, let alone 3D imaging,” said Stephen Smith, the biomedical engineering professor who heads the project at Duke’s Pratt School of Engineering. Smith said his group’s technique may improve on doctors’ most widely used method for destroying — or “ablating” — aberrant tissue that makes hearts beat irregularly. That current technique employs radio waves emitted from the end of an electrode probe that touches and excessively heats tissue selected for destruction. After threading that internal probe into the heart through arteries, physicians must now rely on fluoroscopic imaging — X-ray movies — to help point the device. “However, a fluoroscope cannot image soft tissue at all,” Smith said. “So the heart is just a fuzzy background.” Under those circumstances, fluoroscopy can provide physicians “only a very gross guidance,” he added. Duke biomedical engineers previously pioneered techniques rendering the kind of soft tissue internal images that enable foetuses to be seen in the womb. They have also pioneered the use of ultrasound to create 3D images of the heart and other organs. During the past five years other researchers have followed up by developing tiny internal ultrasound imaging probes than can provide physicians better visual guidance than X-rays for internal surgery, Smith said. But those previous tiny probes acquire only two-dimensional images, which still have shortcomings for pinpoint tissue ablation, he said. Meanwhile, other researchers have separately crafted probes using stronger ultrasound waves to heat internal tissues for ablation rather than for imaging. But combining ablation with 3D imaging in one device is new, he said. His group’s new work builds on its previous success at miniaturising ultrasound 3D imaging probes to a dime-sized array of hundreds of individual ultrasound sound sending and receiving elements, called transducers. Such probes are small enough to insert inside the oesophagus to render images of the whole heart. Smith said his team has now built dual-function imaging-plus-ablation ultrasound probes as small as three millimetres. “We started using very tiny cables, fitting as many as two hundred into a three millimetre catheter,” he said. “This advance in cable technology has allowed us to incorporate both 3D imaging and ablation in the same catheter. In another paper prepared for an October 2003 IEEE ultrasonics symposium, Smith and his former graduate student Kenneth Gentry — now a postdoctoral researcher at the University of Wisconsin — described using a prototype device to first image and then raise the temperature of a tissue-mimicking rubber by 25 degrees Fahrenheit. That temperature increase was enough to ablate real tissue, he said. According to that earlier symposium paper, the prototype was also ablation tested on a piece of beef muscle and imaging tested within a fixed sheep heart. According to Smith, the ablation beam emerging from the same 112-transducer array was 50 times more energetic than the imaging beam. “So far, we’ve been taking turns at imaging for an instant and than ablating in the next instant,” he said. He acknowledged that further miniaturisation and other design work will be necessary to build a device small enough to be inserted through vascular pathways into real hearts for visualisation and ablation trials.